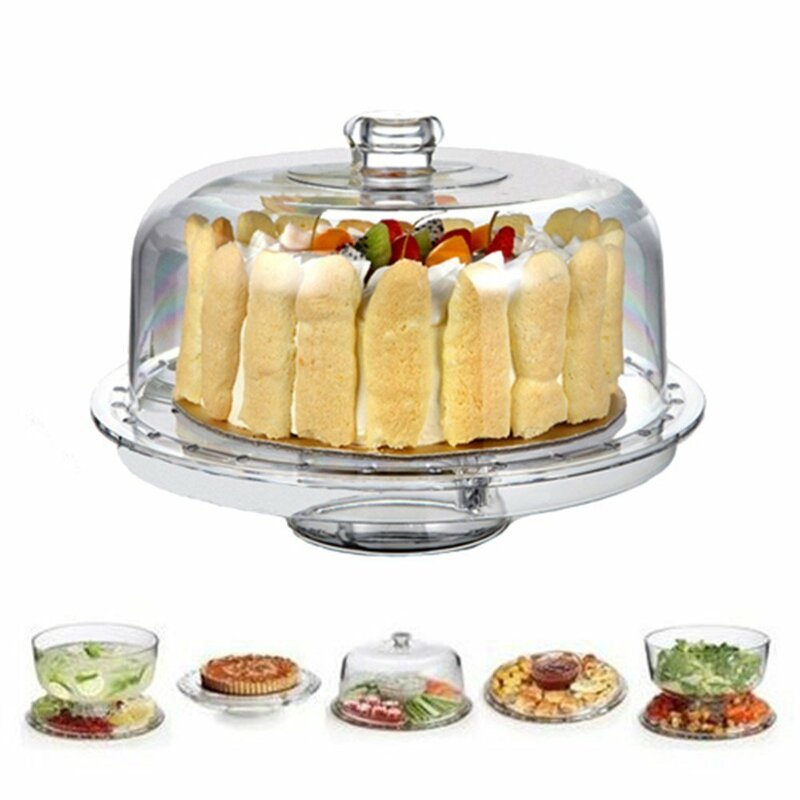 Multifunctional Punch Bowl-Acrylic Plastic Cake Stand with domed cover can serve multiple purposes! Wonderful set for parties and special occasions. 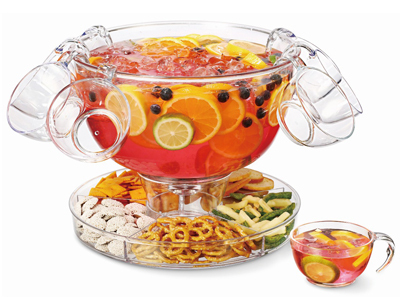 This set includes a large punch bowl, an acrylic serving ladle, and eight wine glasses. Serve ladles full of sangria or classic fruit punch in the stemless wine glasses. Whether you are hosting a dinner party or just having some friends over, this set is perfect for both formal and casual events. This is the perfect centre piece for any party or celebration. 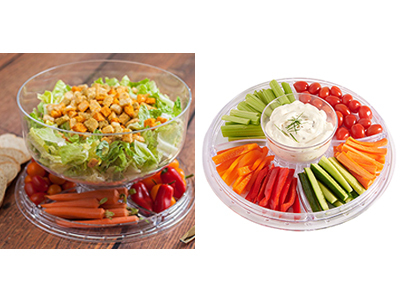 This versatile product can be used as a cake display stand or storage dome, a large punch bowl or even a platter for chips & dip. It means that it will fit perfectly into any kitchen & home. 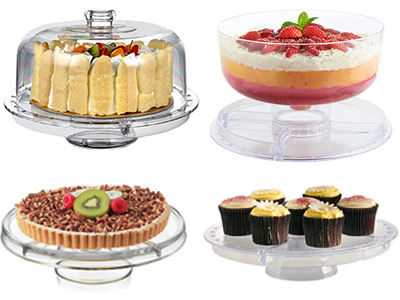 Pedestal Cake Stand with Domed Lid cover for keeping your cake or cupcakes fresh. 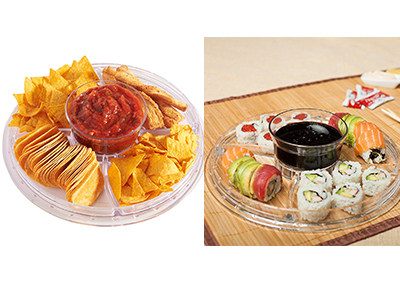 Tray can also be inverted for a sectional chip n dip serving tray. 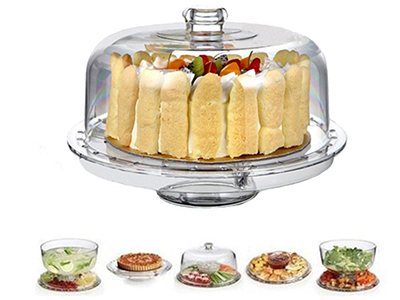 The Dome creates the perfect punch bowl when placed into base which offers 4 sections to display fruit and more delicious snacks.Also you can pour fruit tea into it. CAUTION:Be careful when you place fruit tea or cake into it.Be aware not to use hot water and dishwasher to wash it.